Open Ocean Aquaculture, also known as Offshore Aquaculture, is commonly referred to as the "next frontier" of marine aquaculture. When implemented properly, it can be an economically effcient way to grow fish in an environmentally sustainable way. At the University of Miami, we are constantly developing innovative ways to improve fish production techniques. Open Ocean Aquaculture is setting a precedent that the industry as a whole is striving for. Growing organisms in a high energy and clean offshore environment can produce some of the best quality farm-raised product available. At the same time, this type of aquaculture can serve as a point source of fertilization for our oceans. 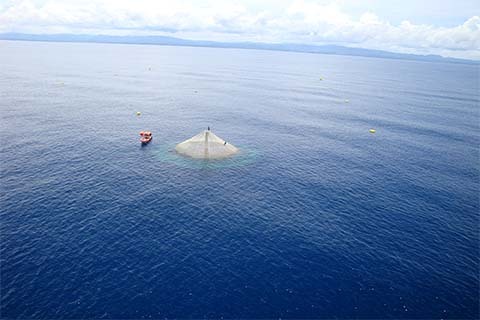 Open Ocean Aquaculture sites are typically very popular with the offshore fishing community due to the abundance of fish and diversity of species surrounding the cages. Great examples of Open Ocean Aquaculture can be found at the sites of our partnering collaborators Open Blue Sea Farms and Cape Eleuthera Institute. 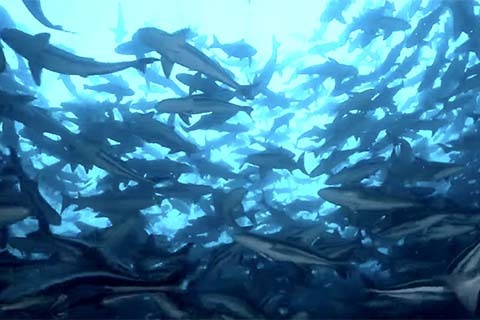 The film posted here, produced by CNN, depicts Open Ocean Aquaculture at its finest.